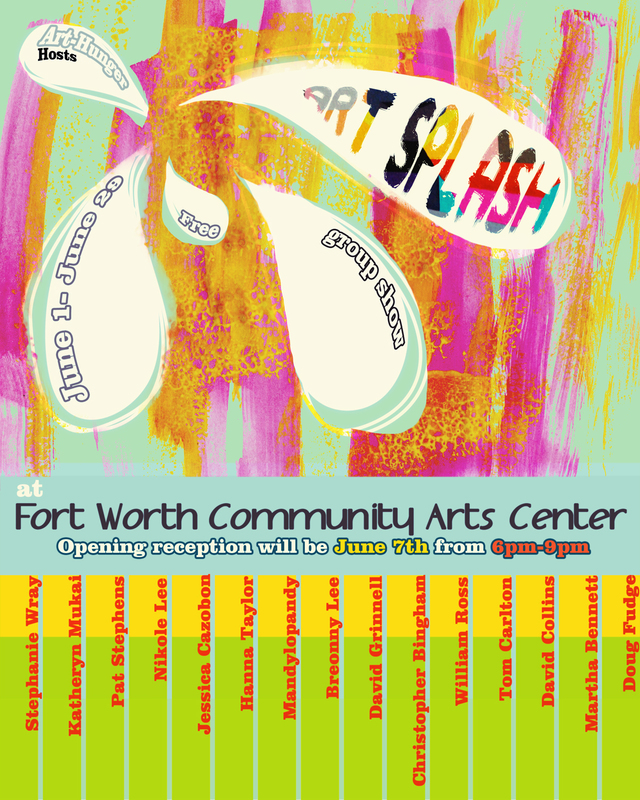 Art-Hunger hosts ART SPLASH a group show of local FWD artists at the FWCAC during the month of June. Art-Hunger is hosting a group show of local DFW artists showing at the Fort Worth Community Arts Center from June 1- June 29. Opening reception will be June 7th from 6pm-9pm Free to the general public.